Restaurant You can enjoy both delicious seafood and Bali dance performance at Melasti Kedonganan. 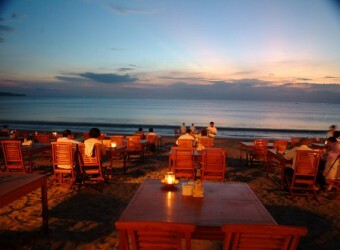 Jimbaran Beach is also famous as a place to watch beautiful sunset. Melasti Kedonganan provides three kinds of set menu. At sister restaurant of Melasti Tanah Lot you can enjoy fantastically fresh seafood and beautiful sea view.